The times ran out, when the war games were appreciated for their tactical constituent. 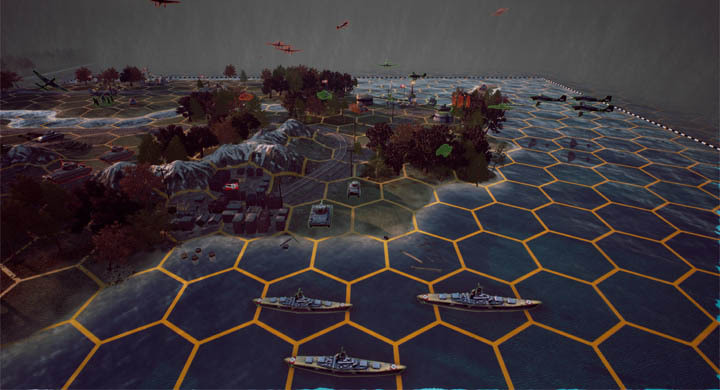 Today, the turn-based wargames must fine and vivid into the bargain! We were engaged in level-design, programming, and other important but not very entertaining things until recently. 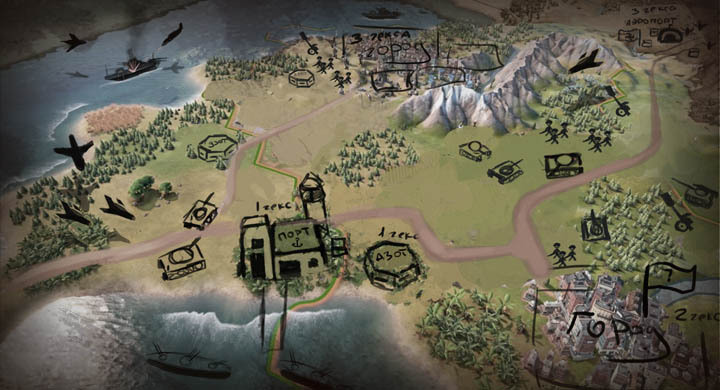 In general, we created “framework” out of the main mechanics and mission maps. Now, the time has come to make it attractive. Do you remember, we promised to realize the newest 3d graphics? What have we got? - Please, find the example of the test level. Of course, it is the same but sketch-based test level. Such is the 3d war we suggest you get involved in. What will you say? Here the German tank column is moving past the airdrome. On the background, there are railway tracks and a river. The major feature of the game is the relief that is 3d, in other words, a hill can hinder a survey and fire. The battle is going on here in the three elements: on the sea, in the air and on the surface. The amphibious landing operations will be conducted in the same way. 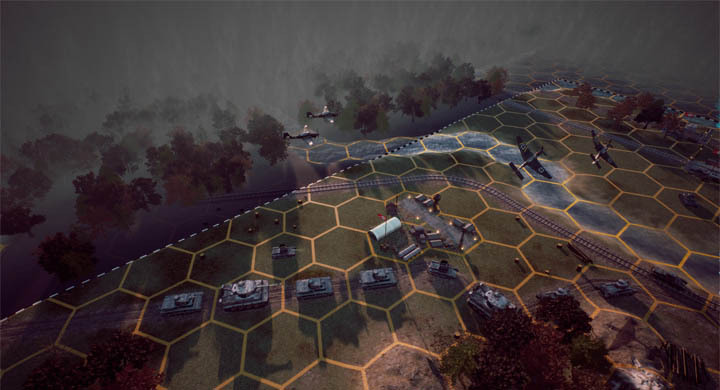 We hope, now you will get an idea of the graphics constituent Panzer Strategy:Blitzkrieg. In the process of creating new missions, we will be putting out screenshots and gameplay video. 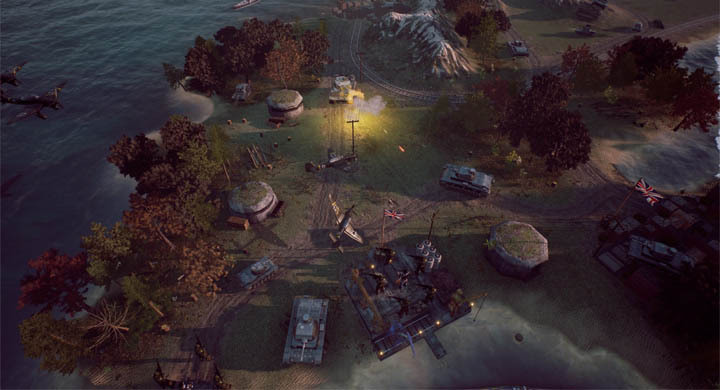 These won’t be the test levels but the real military operations: the assault of Madrid, the invasion of Poland, the landing operation in Norway and many more. A lot of interesting content is waiting for you, so watch the news on the project site!